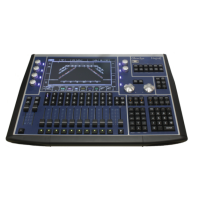 MagicQ MQ40N is part of a new generation of small and lightweight MagicQ Consoles specifically designed for travelling lighting designers. The MagicQ MQ40 fits within the hand luggage restrictions of all the major budget airlines including Ryanair, Easyjet and South West. Based on the same ARM technology used in modern phones and tablets the MagicQ MQ40N has lower power consumption and does not require a fan - enabling silent operation for theatrical and corporate shows. MagicQ MQ40N features the same familiar and flexible GUI lighting control, media server connectivity options and in-built Pixel Mapper found in all other MagicQ consoles, and utilises the same software and show formats, enabling compatibility between all products in the MagicQ range.